Length: no restriction, although a concise article is preferred. Style: use the active voice, with your own style, formal or informal, in your own tone. Content: your column/report/article topic, include its relevance to a technical services law librarian. Paragraph Style: Submit your column/report/article using a single paragraph style (e.g., Normal) and single spaced lines, only double spacing between paragraphs. Please use “Align left” (not full) justification for your article. Do not indent at the beginning of each paragraph. MS Word: Column/report/article should be submitted in MS Word. Font: Use Times New Roman 10pt font for *everything* – you can italicize or bold or underline what you want within that font and font size. This includes your name and title of your submission. Adjustments will be made in the layout phase. Acronyms: The first use of an acronym should be spelled out with the acronym in parenthesis. Subsequent uses then should just be the acronym. Example: The American Association of Law Libraries (AALL) recently met in Chicago, Illinois. 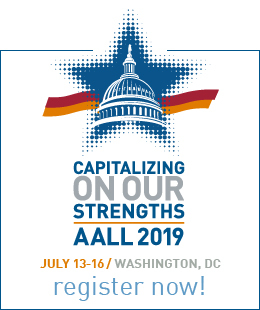 During the business meeting, AALL announced its new logo and tagline. Italics/Quotes: Italicize anytime you use the word TSLL, book or journal titles, Resource Description & Access, the acronym RDA, and the names of blogs. Use quotes for titles of articles and educational programs. Hyphens: Use a dictionary to help you determine whether to use hyphenation in words like coordinate, or co chair, or preoccupied, or reevaluate. Two dictionaries many use for this are the Merriam-Webster’s Collegiate Dictionary or the American Heritage Dictionary of the English Language. But most any reputable dictionary will suffice. Dashes: There are two types of dashes that may be used. En dash which should be used to separate dates. The en dash is entered by typing a space, a hyphen, and another space. Em dash which should be used to break up sentences. The em dash is entered by typing two hyphens with no spaces between the words and the hyphens. The American Association of Law Libraries (AALL) has met in San Antonio, Philadelphia, and Chicago. 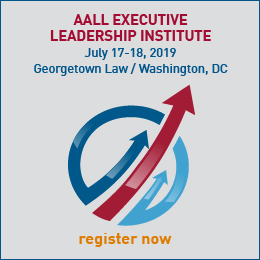 The American Association of Law Libraries (AALL) has met in San Antonio, Philadelphia and Chicago. Names – IMPORTANT: Verify the correct name/s and spelling of names of people you use in your article. Endnotes/Footnotes: Please place references at the end of the column/article (use endnotes not footnotes), and especially do not number the pages. References should generally be used just for citations and should conform to the Chicago Manual of Style. However, endnote references for websites should just contain the URLs (i.e. do not include additional citation information). You can find more info at http://www.aallnet.org. Past issues of TSLL (http://www.aallnet.org/sections/ts/TSLL/Issues) have discussed this situation. Grammar/Spell Check: Remember to grammar and spell check the article before submitting it. Generally, I will email you when I receive your submission. As editor-in-chief I do a first read and format the article, but the associate editor will do the major proofing. If there’s a major question or problem, I’ll contact you. Feel free to email me for a status report if you want. Thank you. Following these guidelines will help out your TSLL editorial staff greatly in their work!